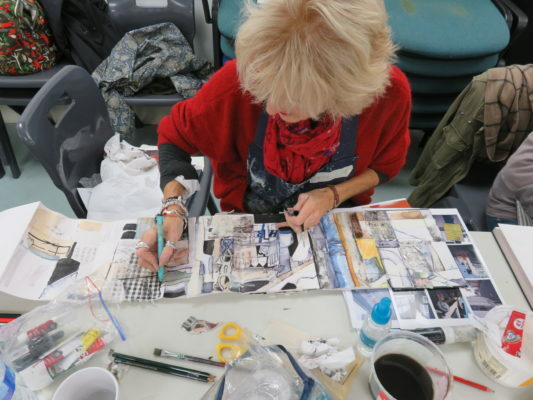 The workshops are fun but hardworking, you do not need to prepare anything, just come along and develop your sketchbook pages in a supportive environment. We will work with inks, pens, pencils and collage to develop 4-10 pages on the theme of buildings/streets/harbours. 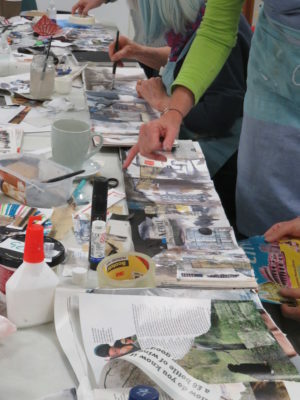 We will be responding to the collage elements and mark making, as in my sketchbooks.